Driven by perfection, we are engaged in manufacturing and supplying an exclusive range of Stainless Steel Kitchen Accessories. Under the strict surveillance of our diligent professionals, these products are manufactured making use of superior-grade raw material. Our professionals utilized sophisticated technologies to manufacture these products so as to ensure their excellent performance, high strength, alluring finish and prolonged service life. 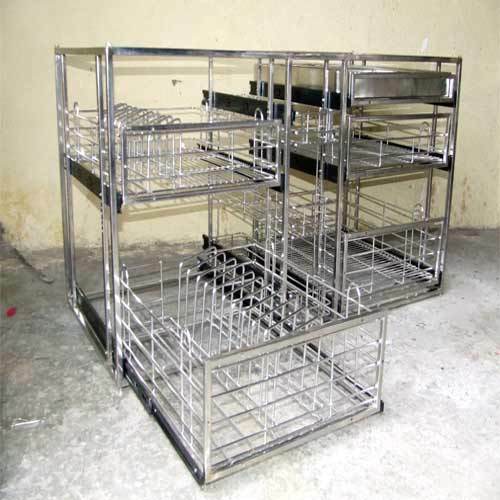 Offered range includes Kitchen Carousel, Modular Kitchen, Kitchen Accessories, SS Kitchen Structures, Kitchen Basket, Regular Basket and Steel Kitchen Trolleys. Catering to the expectations of the customers, we are providing them Stainless Steel Kitchen Structures. 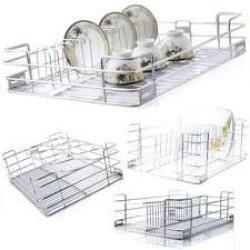 Designed with premier-grade stainless steel, these products are assured to give an excellent performance. Offered products are highly suitable for wide applications in various domestic and commercial kitchens. In kitchens, these structures are used for keeping various appliances which are frequently used while cooking. Food grade AISI304 grade material. 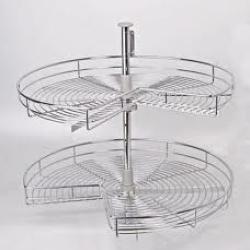 We are counted amidst the leading manufacturers and suppliers of a commendable gamut of Kitchen Carousel. Offered product is well-recognized in the market for its durability, exquisite designs and fine finish. Manufactured with finest grade raw material, offered product is highly acclaimed by the clients and proves to be suitable for wide applications in domestic sector. It is manufactured in tandem with the industry laid quality standards. To provide our clients, we are having an excellent collection of Kitchen Accessories in our store. With the help of our well-trained professionals, we designed these products with premier-grade raw material which is sourced from the leading vendors. Offered products are highly suitable for domestic applications and acclaimed by the clients for their excellent performance, high strength and alluring finish. Looking for “Stainless Steel Kitchen Accessories”?